Agricola Redesign | Make Today the Best Friday Ever! Make Today the Best Friday Ever! Kick off the beginning of summer by playing a little hooky! When was the last time you took a day off from work and other responsibilities and just enjoyed yourself? Make today the Best Friday Ever and head out for a day in the city and make the most of your day. 1. Explore Cincinnati’s neighborhoods. 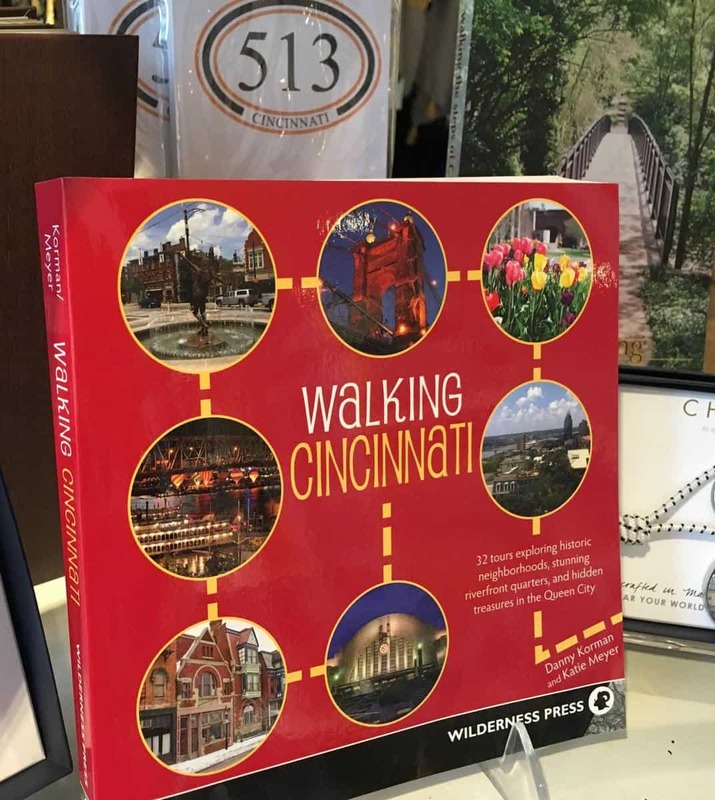 We carry the book Walking Cincinnati at A Village Gift Shop so come by and purchase a copy of your own and head out into the city! Explore neighborhoods, boutiques, and restaurants that you may not have otherwise thought to visit. Go outside of the usual neighborhood you visit for happy hour and learn something new about Cincinnati. Stop by Findlay Market and check out all the new things going on there, shop at Covington’s Main Strasse across the river, or head to downtown Glendale Square (we’d LOVE to see you!). Pop a squat on a bench and sip a cup of iced coffee, people watch, and pick up gifts for yourself and the ones you love as you go! 2. Check out Cincinnati’s free events. With summer finally here, there are going to be TONS of free concerts and events going on in the city. Don’t miss out on them and grab your besties (they can enjoy a Best Friday Ever, too!) before heading out to one of these amazing events. Pack a special cooler for the day with plenty of snacks and drinks, and don’t forget a blanket to lay in the grass! 3. Don’t act your age. Yes, we’re serious. You’re already playing hooky so you might as well take advantage of your Best Friday Ever and not act your age. Head to the local pool and lay out in the sun while also enjoy adult swim time. Remember how you couldn’t wait to be able to stay in the pool when the lifeguards called break for the kids? Well now is your chance to finally feel like an official grown up and stay in the pool while the kids have to get out! 4. Think about a design change. If you’ll feel guilty about enjoying yourself too much on a day off from work, consider taking on a project like a design change to your home. Invite a designer to come by and consult on your home’s decor. A designer can inspire you and motive the DIY side of you. Whether you’re heading out for a picnic, concert, a visit to the pool, or anything else, visit A Village Gift Shop at 3 Village Square in Glendale. We have dips for your picnic, sunglasses for your swimming pool visit, and Walking Cincinnati to encourage you to get outside of your neighborhood comfort zone and explore a new part of the city you’ve never visited before. Thinking of taking on that design project you’ve been daydreaming about for so long? Contact Agricola Redesign at 513-771-3927 to set up a design consultation! We can help you look at what you already own and how you can use it to redecorate your home!